The trail consists of a series of switch backs gradually working the way down hill. If ridden counter clockwise (preferred), the first section from the parking area includes a rock garden to give those sidewalls some grief. The trail north of Corps Road offers a view of the lake and a nice rocky climb. The trail flows nicely and is fun to ride. I would rate it as a beginners if it were not for the rocky sections. A: I'd say Orange and Blue which are North of road across from main TH on West end. Most of it is pretty approachable except yellow is a bit strenuous and Green has a jump that is advanced but has bypass. A: Definitely need a map to survey the ride you're planning...but, once you're on the trails, it's marked really well with paint color blazes. Orange, blue, green, brown...easy to stay on course! Review: Super fun trail. Rode all 5 loops for a total of 23 miles. Course really dry after thunderstorm the night before. Great climbs with some punchy rockgardens followed by speedy swoopy downhills and a half dozen stream crossings. Awesome lake views from the White Loop. 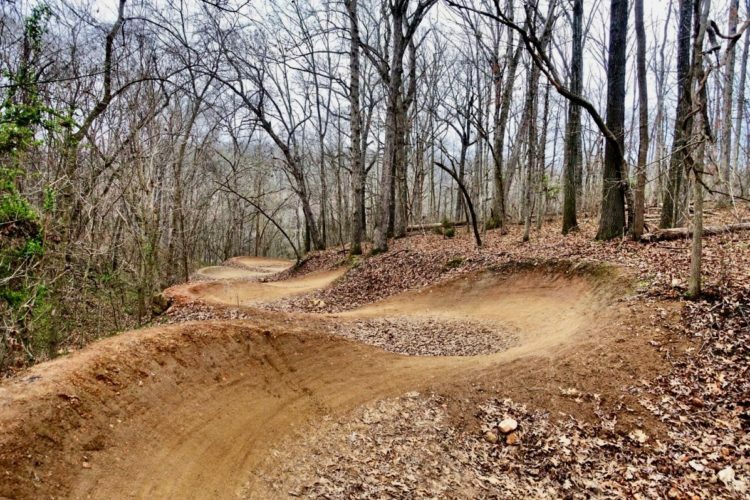 Review: I drove down to ride this trail since my local trails were muddy and wet. This trail is supposedly known for how quickly it drains and it does. However, it did finish raining about 30 minutes prior to my arrival. Due to the large amount of leaves on the ground since it was right in the middle of fall, there was actually quite a bit of water on the trail. The great news is, you can ride these trails in the wet and not damage them, I had NO mud on my bike when i was done, just grime from the water. 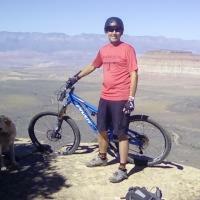 So get out and ride these trails anytime, they are well maintained! Review: Great views. Good riding. Great for pics. Review: When I saw Cedar Glades made the top 3 most popular Ark trails for 2018, I had to come and leave a review for Iron Mountain to help it move up the list. IM might be my favorite trail in all of Arkansas, and that's saying a lot. It has the perfect mix of flow without too much extended climbing (though does not have anything considered technical). It also has a great out in the woods feel without itself being in the middle of nowhere (like some other trails in Arkansas). The only thing that could improve this tail is to reroute the Yellow doubletrack climb & decent to the spillway (and the spillway gravel section itself). Other than that, I love every mile of IM. Review: Several loops identified by different colors. Each has it share of rocks, climbs and DHs, all adding up to fun. White loop has views of the lake and maybe more flow than the others. Lots of entertainment without discouragement. Review: Really fun trail. Great lake views. Nothing too technical, but some fun downhill flow with nice berms and nice rock gardens and decent climbs to provide some challenge. Review: Can anyone give an update on this trail? Review: Great trails well marked with fun downhillls after some moderate climbs for a 60 yo kid anyway. Review: Great trail system. Very well maintained. Good climbs for some decent cardio and rewarding fast flowy down hills. Ridden several times and rarely saw another rider. Review: Great time. 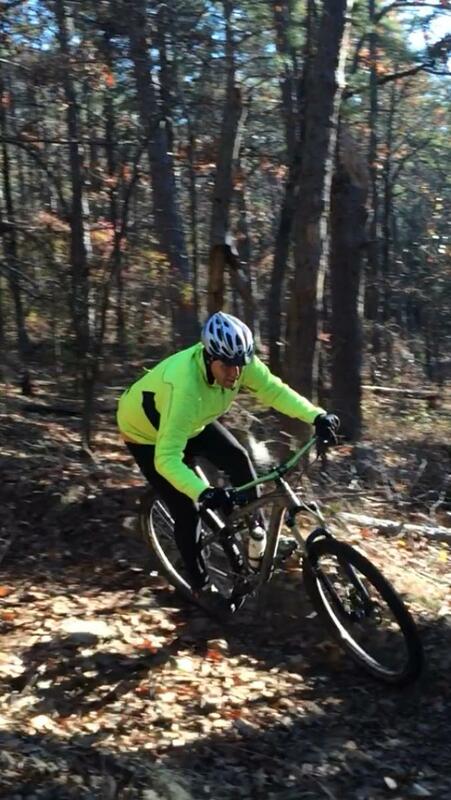 Green trail challenging for this middle age biker just getting back into biking. Well marked. 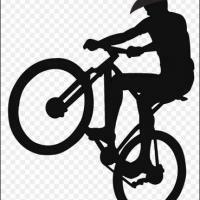 Iron Mountain MTB Trail 4.59 out of 5 based on 31 ratings. 31 user reviews.